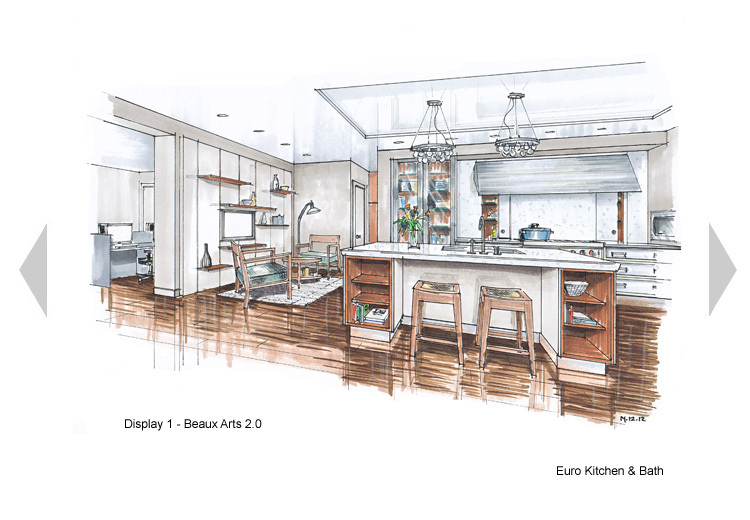 Display 1, the iconic Beaux Arts 2.0, is planned as a complete living area, with "Floating Spaces" shelving and a seating area to the left. This type of showroom planning is now universal for SieMatic showrooms around the world, as we aim to elevate the brand experience above the many other good kitchen furniture makers available. Mick Design is instrumental in executing this new design standard throughout the world markets. From this main space, the office/planning area and two more displays are carefully fitted into the high street interior.